When a company famous for its car, airline and race car seating design turns to creating strollers – each product is going to be a triumph of design. Brilliant minds and incredible engineering combine to bring to life the RECARO Easylife Stroller. Perfectly suited to the Australian way of life, come and see why we love this ultimate travel companion for families. We just love a stroller that can take away anxiety new parents may have about how to fold, unfold, set up and use what is an essential piece of parenting equipment. 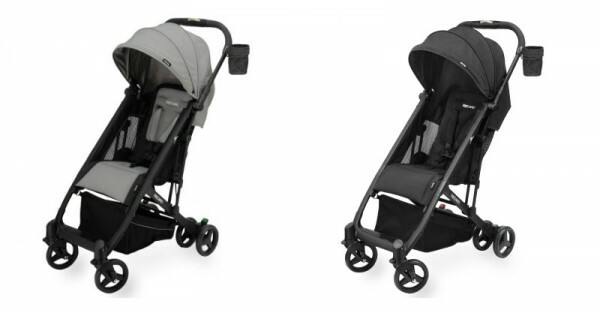 The RECARO Easylife Ultra-Lightweight Stroller is all about making things simple when out and about with your baby. It weighs just six and a half kilos, but still manages to pack the punch of a much heftier stroller. It’s easy and quick to fold, and follows the same principles of every RECARO product – it’s user friendly, safe and puts comfort at the forefront. Often it’s assumed that compromises are made to keep a stroller lightweight – but not in this instance. The Easylife Stroller has the bells and whistles you’d expect of any luxe stroller. Its six wheels have a full suspension system, and the front swivel wheels can be locked, making it nimble in tight spaces. The large, extendable canopy has UV SPF 50+ protection, and a water repellent coating – which makes it ideal for Australia’s unpredictable weather! The Easylife Stroller also has CoolMesh sidewalls, designed to increase airflow, which work with the temperature-balancing fabrics to make for a really comfy and cosy ride for your bub. Speaking of which, the seat is a cinch to recline, using just one hand – and there are multiple positions, so you can get your child in a comfortable position for sleeping or watching the world. It can be folded using just one hand, and can stand alone when folded, so you’re free to use your hands to open the boot. Since it’s compact when folded, it will fit neatly into even small car boots and spaces in your home. It has a single, continuous handlebar, that can easily control the stroller with just one hand. And down below, the push break is easy to engage with your foot. There’s also an extended storage basket and a removable parent cup holder with a mesh pocket. The Easylife is suitable for use from six months, right through to when your child is 23 kilos. RECARO also uses its significant experience to create a host of other safe and reliable baby products, using German engineering and American manufacturing, and an in-house crash test facility. Other products in the range include the Performance Booster Car Seat, Performance Denali Luxury Stroller and the Performance Coupe Infant Car Seat, which will be available from June. To find a stockist near you, head to RECARO Australia.